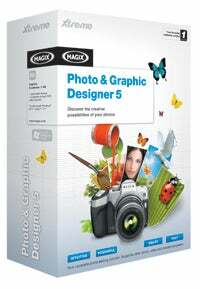 Download Photo & Graphic Designer 5 now! MAGIX Xtreme Photo & Graphic Designer 5 is without equal the most creative and time-saving solution for your images: Quick optimisation, high-performance image editing, intelligent graphic design, and convenient layout functions in a single completely intuitive program. Get more out of your photos and take advantage of numerous unique design functions and high-quality templates. Get excited about outstanding results; it’s perfect for preparing photographic gifts and presentations or as an addition to other photo, video & website software.